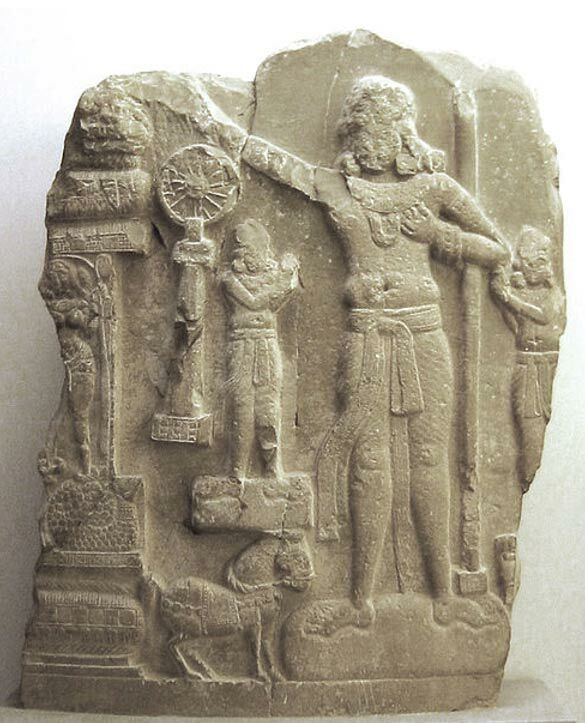 The emperor Ashoka is considered to be one of India’s greatest monarchs, and was the third ruler of the Mauryan Empire. Whilst Ashoka’s conquests pale in comparison to his illustrious grandfather’s, he is widely remembered as a Buddhist ruler, and it was his contributions to Buddhism and morality that made him such a renowned figure in Indian history. The Mauryan Empire is estimated to be the largest empire (in terms of land area) in the history of the Indian subcontinent. At its height, the Mauryan Empire occupied not only most of present day India, but also Bhutan, Nepal, and Bangladesh in the east, as well as Pakistan, Afghanistan, and parts of Iran in the west. Much of these conquests were made during the reign of Chandragupta Maurya, the first ruler of the empire - Ashoka’s grandfather. Ashoka is said to have been born in 304 BC to the emperor Bindusara and Dharmma (a relatively low ranking wife of the emperor.) Apart from one younger brother, Ashoka had several elder half-brothers. According to one legend, Ashoka fought and killed 99 of his brothers in order to inherit the Mauryan throne. Only his younger brother, Vitashoka, is said to have been spared. From an early age, Ashoka showed great potential to become a successful general and an astute administrator. Despite his prowess, Ashoka’s chances of succeeding his father were slim, due to the fact that he had several elder half-brothers. Nevertheless, Ashoka’s abilities made them suspicious that Bindusara would leave the throne to him, and the brothers began to feel insecure. This was especially true for Susima, Bindusara’s eldest son, who stood to lose the most. As a result, Susima sought to eliminate Ashoka so as to secure his position. 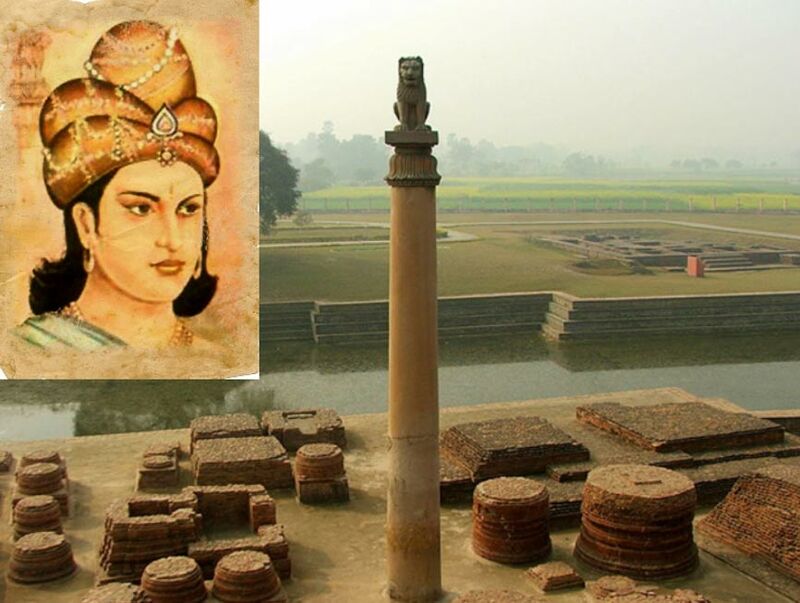 He managed to convince his father to send Ashoka to Taxila (in modern day Pakistan) to quell an uprising. Susima’s plan backfired, however, as Ashoka was welcomed with open arms when he reached the area, and thus put down the uprising without any bloodshed. Susima then began inciting Bindusara against Ashoka, which resulted in the future emperor being sent into exile for two years. A violent uprising in Ujjain, however, forced Bindusara to call Ashoka back, and he subsequently sent his son to deal with this new uprising instead. Whilst Ashoka succeeded in crushing the uprising, he was injured during a battle. In order to keep the news of Ashoka’s injury hidden from Susima, the prince is said to have been treated in secret by Buddhist monks. Scholars believe that this was Ashoka’s first encounter with the teachings of the Buddha. In the following year (275 BC), Bindusara fell ill and died. 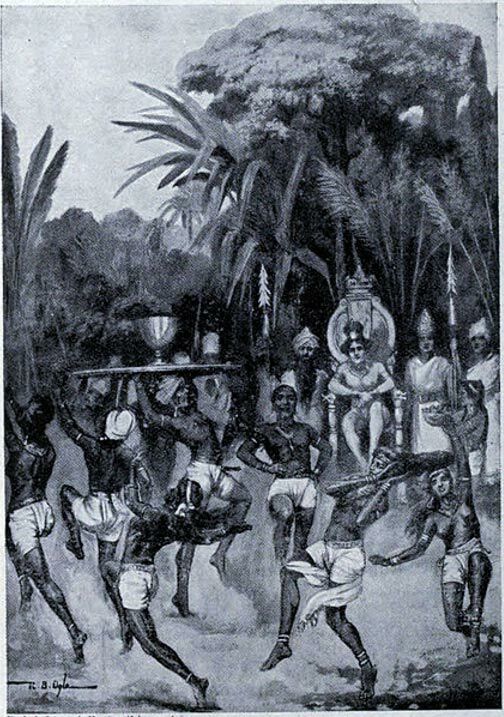 A war of succession was fought between Ashoka and his half-brothers. Ashoka ultimately emerged victorious, and became the third Mauryan emperor. Another legend speaks of a torture chamber constructed by Ashoka called ‘the beautiful gaol’ or ‘Ashoka’s Hell.’ This building was “lovely from the outside as far as the gate, but inside it was actually a very frightful place.” The construction of the ‘beautiful gaol’ was a request made by Girika, the emperor’s newly-appointed executioner, and it is said that he drew inspiration from the five tortures of Hell. One legend states that one of Girika’s victims was a Buddhist monk by the name of Samudra. Although he was tortured by Girika, he was unharmed and news of this miracle reached the emperor. Ashoka came to meet Samudra who chastised him and instructed the emperor to build 84,000 stupas in accordance with the Buddha’s prophecy and to guarantee the security of all beings. Ashoka repented, tore down the torture chamber, executed his executioner, and obeyed Samudra’s commands. Another version of Ashoka’s conversion (arguably more well-known than the one involving Samudra) involves the emperor’s conquest of Kalinga. After defeating his enemy, Ashoka went into Kalinga’s capital to survey the damage. The amount of death and destruction is said to have sickened the emperor, causing him to renounce his violent ways and embrace Buddhism. Ashoka’s envoy declares peace. Illustration from Hutchinson’s Story of the Nations. ( Public Domain ) Ashoka was penitent after the conquest of Kalinga according to one of the legends of his conversion to Buddhism. "I consider how I may bring happiness to the people, not only to relatives of mine or residents of my capital city, but also to those who are far removed from me. I act in the same manner with respect to all. I am concerned similarly with all classes. Moreover, I have honored all religious sects with various offerings. But I consider it my principal duty to visit the people personally." Although the status of Buddhism was elevated thanks to Ashoka’s patronage, it did not last long. Following Ashoka’s death in 232 BC and the collapse of the Mauryan Empire about half a century later, Buddhism eventually died out in India. Nevertheless, the foundations for Buddhism as a major world religion had been laid by this emperor, and this faith has been, and still is, popular in many regions outside India. Strong, J. S., 1989. The Legend of King Aśoka: A Study and Translation of the Aśokāvadāna. Delhi: Motilal Banarsidass Publishers. Sorry but he was not a cruel king but a person who like others wanted to expand his empire but never had any hatred for his people.Yes the war lead to a huge loss in human life which affected his mind severly and lead him to lead a life of monk. Who knows had he remained the same present day Indian Subcontinent history would have been vastly different.